Many of the non-chain restaurants in Fort Pierce that I genuinely liked are no longer there. Some left after the 2004 hurricanes destroyed them. Others closed down at some point due to the economy. There are still some around (like the Tiki), but for the most part, the selection isn't wonderful. However, the other night we struck gold. 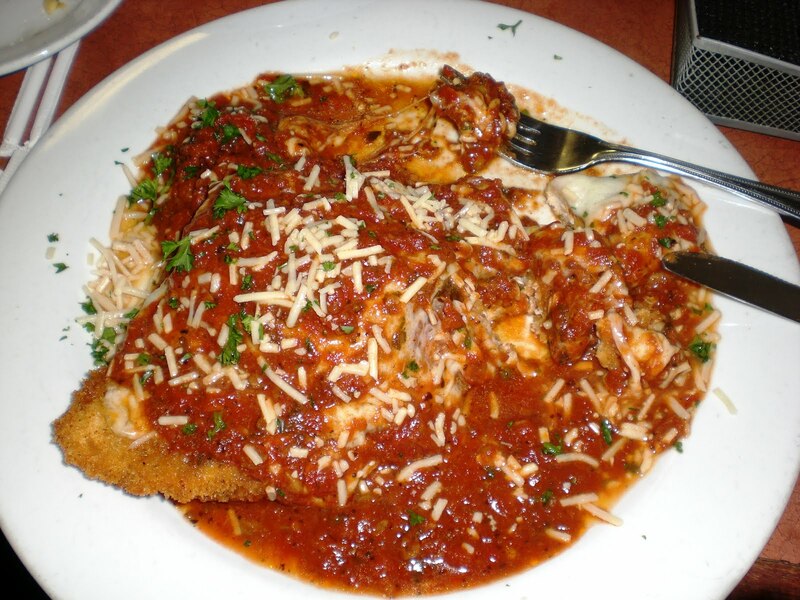 I ordered the chicken parmigiana, which was hand-breaded and baked. I received two large (there may have even been a third - I didn't separate them as I dug in) slabs of chicken, with a fantastic sauce and fresh cheese over top. My pasta was served on the side, which was different because I am accustomed to having it served underneath the chicken. 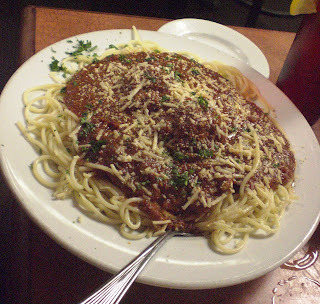 The small bowl of linguine with sauce and cheese was good, too. I easily brought more than half of the dish home, and I almost couldn't wait to reheat it and have more! 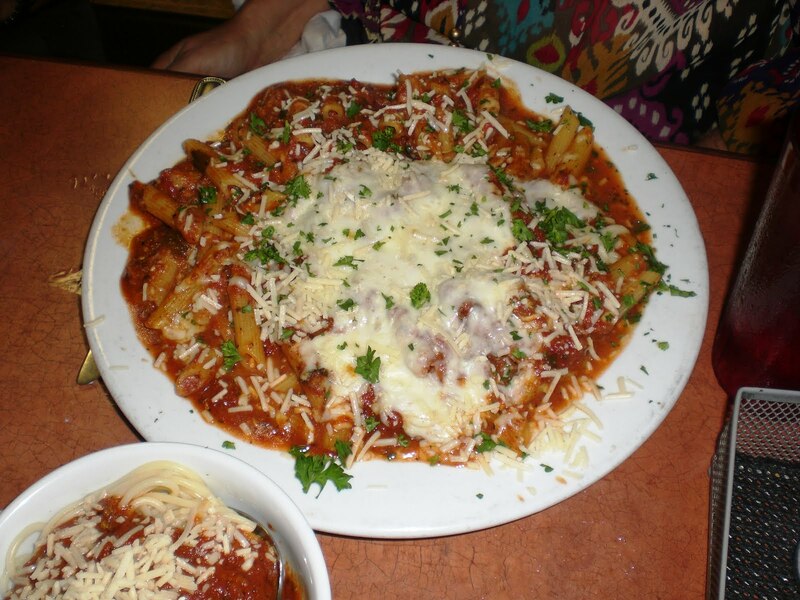 Everybody else enjoyed their dishes as well - the spaghetti and meatballs (great meatballs), the peppers & onions pasta (in a brownish sauce, very good), and the baked penne (the perfect amount of cheese). I couldn't stop talking about how much I enjoyed the food there! It is a little pricey for Italian in that area (entrees started at $10 as opposed to $7 or $8 at other places), and there's a credit card minimum of $8 (good to remember if you just want to stop by for a slice of pizza), but still an excellent choice. omg! i want to eat everything in your post!